Engineered for speed and incredible handling, the TIE silencer is devastating in the hands of those who can unlock its full potential. Lesser pilots, however, are often overwhelmed and unable to maintain control of the nimble craft. 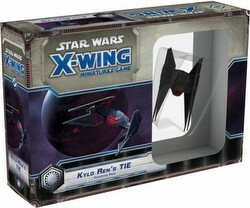 Fortunately for the First Order, the TIE Silencer Expansion Pack for X-Wing pairs its sleek and menacing, pre-painted miniature starfighter with a quartet of talented pilots, including the dark side Force user Kylo Ren. 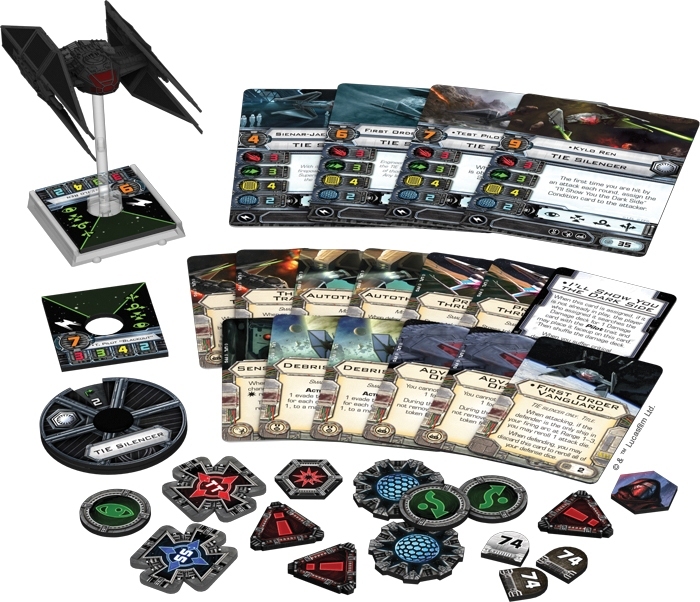 Additionally, you'll find twelve upgrade cards, one condition card, a maneuver dial, and all the plastic and tokens you need to launch this lethal fighter into action!